ONLY 3 Years old! 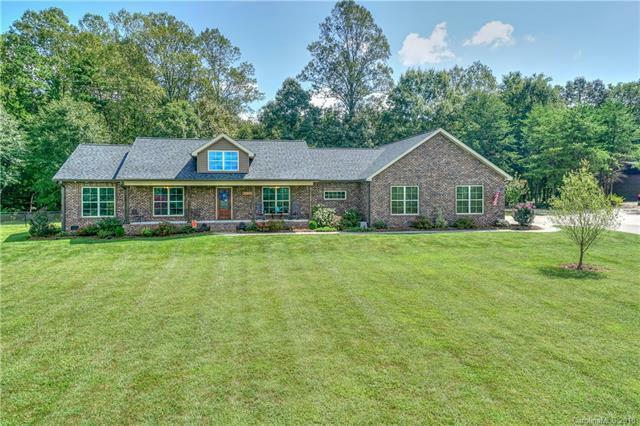 Immaculateall brick ranch home nicely situated on 11+ acres of land complete with a 3 car attached garage and a large outdoor garage that will nicely fit 3 more vehicles or all of your outdoor toys (like lawn equipment, tractors or maybe even a boat). Inside you will see the attention to detail such as sleek smooth wood-laminate flooring, built-ins, a gorgeous rock gas fireplace and more. The open kitchen area offers granite counters and new appliances, The first level master suite is large and overlooks lush greenery from your backyard, complete with walk-in closets and a beautiful large tile shower. There is also a room above the garage that is perfect for children as a play area or maybe a small media room. All this and NO HOA! Home is equipped with a video surveillancesecurity system. This home is an absolute MUST see! Put it on your short list today!